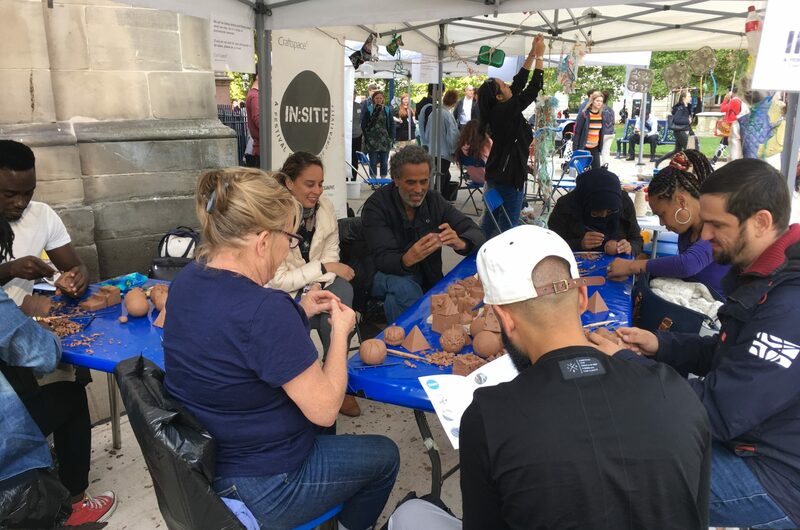 In:Site Festival takes place annually in Birmingham Cathedral Square presenting contemporary craft for all to encounter and experience. Over five days new craft and design graduates make bespoke artworks in situ responding to the space, architecture, people and heritage. Some are created with the participation of the passing public.